Serving Danbury, Bethel, Brookfield, Newtown, New Fairfield, Southbury, Monroe, Redding & surrounding CT & NY areas. This allows enough time for your pet to settle in upon arrival and paperwork to be completed. You will be charged for the day your pet arrives, but not the departure day if picked up before 11:45 AM. 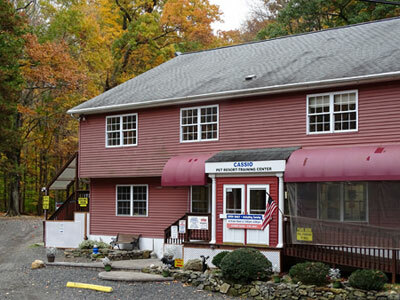 Conveniently located off I-84 between exits 8 and 9 on Route 6 at the Bethel-Newtown border.